The species is distributed in Central and Southern Europe, and then to the East to Japan through Southern Siberia, North-eastern China, Southern Ussuri region and Korea. Armenia is most probably inhabited by the same subspecies, which occurs in Caucasus - M. d. badukensis Alberti, 1969. The only mentioning of the species in Armenia was made by N.M. Romanoff (1884) from Daratchitchag - currently Tsaghkadzor, a resort town located at Tsaghkounyats Mountain Ridge. So, most probably the species was inhabiting mountain meadows above the timberline at the elevations from 2200 m to 2500 m a.s.l. In Greater Caucasus it gives one generation per annum flying from late June till early August. The species has not been recorded since 1884 and therefore there is a high probability of its extinction, especially taking into account the high level of habitat transformation around Tsaghkadzor resort. The species is not included in the Global and National Red Books, as well as in the CITES and Bern Conventions, however it is included in European Red Book as Least Concern. 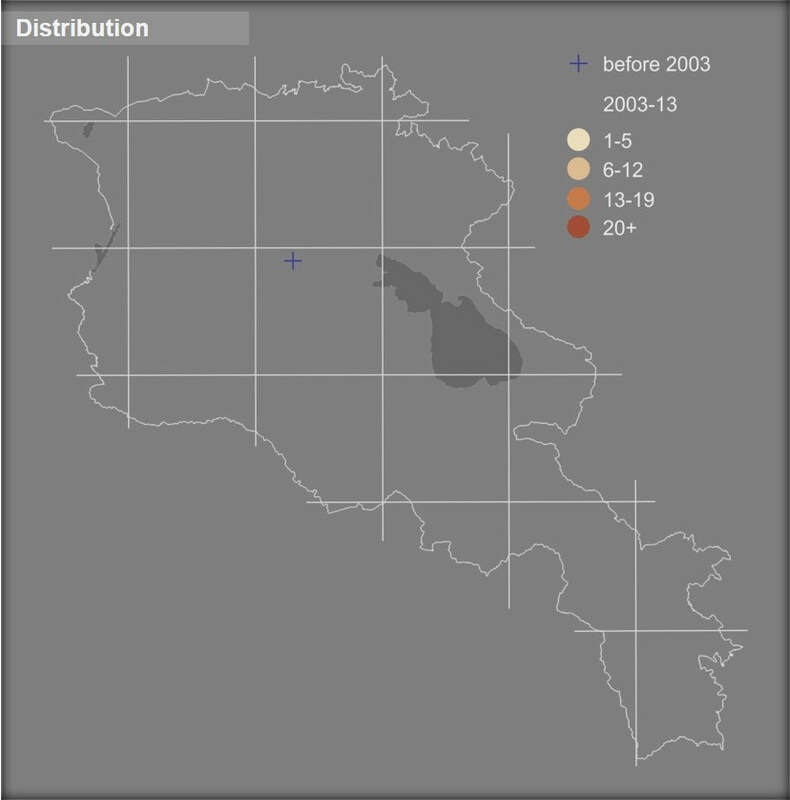 In Armenia the species should be considered as Extinct, although with a reservation of necessity of additional detailed survey of Tsaghkounyats Mountain Ridge and may be also neighboring Pambak Mountains, as the probability that species survived in some islands of less disturbed habitat cannot be completely rejected.